Whether its soups, curries, stews, marinades, chilli powder has a significant position in all the cuisine preparations. Chilli powder is believed to set the taste buds on fire, and sometimes the tummy too! It is mainly a spice blend of one or two types of ground dried red chillies and other spices and herbs crushed into a fine powder. Some of the health benefits of chilli powder include, Chili powder improves the flow of fresh blood to the site of infections and also contains sufficient amount of vitamin A which fulfills one’s daily intake. 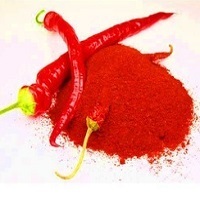 Common adulterants present in chilli powder are red colored lead salts, talcum powder and brick powder.